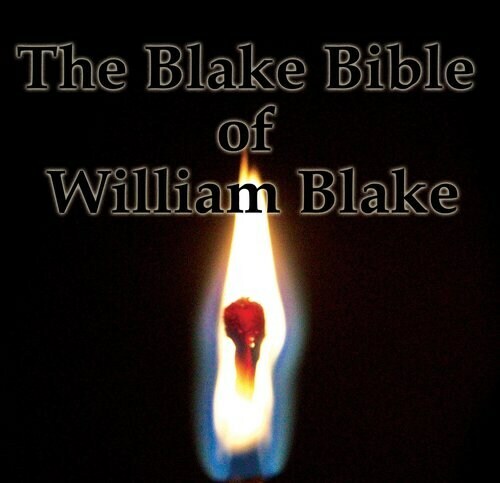 Poster for "The Black Bible of William Blake"
”The Black Bible of William Blake”, produced by Radio Romania, tells the story of a teenager in today’s Romania, focusing on the elements that tend to radicalize youth nowadays. It was awarded a special mention by the Radio Drama jury at the Prix Italia this year. According to the jury, the programme stands out for ”its multi-layered narration, for its boldness of form and its use of acoustic and electronic non-verbal communication”. Director Ilinca Stihi explained the process behind this work. The idea of the script came from a song by the British group Fun, entitled We are young. It contained a certain desperation and that is what intrigued me and made me think about what it is like to feel young in a world that crumbles around you. Somehow, the idea of a kamikaze character started to take shape. It seemed a proper response to the game without solution that society proposes to teenagers. Why did you decide to develop it this way? We began by looking for the best way to bring to the listener the universe of the teenage protagonist, Nichita. We agreed that the city and its challenges (the rushing cars, the big noise, the clubs, the school, etc.) had to be an acoustic partner for our hero. That is why we started to record on location, like in the movies. This was also when the script began to change shape because of what the sound could bring. We added a parallel story, a more abstract one, about some kind of alien existence. It is something that came out of the many different electric sounds we got to record in several places around the city. It is like a dangerous, invisible presence that silently influences us. It was a difficult production in terms of recording, as we were always a perturbation for the people around us. Recording inside a toilet in a club on Saturday night can get people dangerously nervous. How has the audience responded to the piece? We had a great feedback especially from the public listening that we organized with surround sound. We reached a different audience, a young one mostly. We also had the joy to see our idea having a great echo outside Romania. Finally, a comment on the special mention at Prix Italia this year. Prix Italia is one of the most prestigious awards in the world, competing for the prize is always a big challenge. The special mention came very unexpected as I have always considered this work a very risky one, in terms of political and social content. The reward filled me up with real joy and gratitude for the chance of passing on the message of the play that is, in fact, a warning for the cynical society we keep developing. Our team is honored by the appreciation shown by jury members for the very careful and hard work we did for the soundscapes. We thank Prix Italia for giving us the confidence to explore sounds more and to always try the hard paths for new, surprising results.